To celebrate my birthday weekend, O and I flew to Taipei, Taiwan. 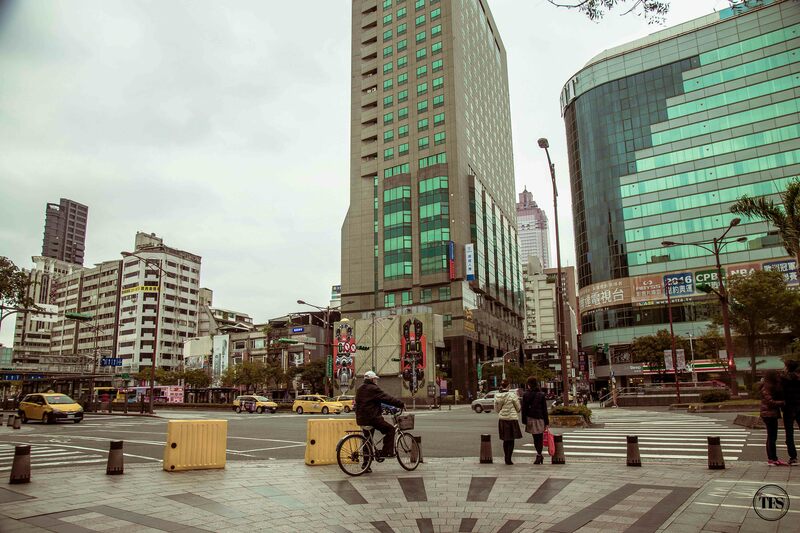 We began our Taiwan adventure by exploring the side of Ximending, located at the Wanhua district. 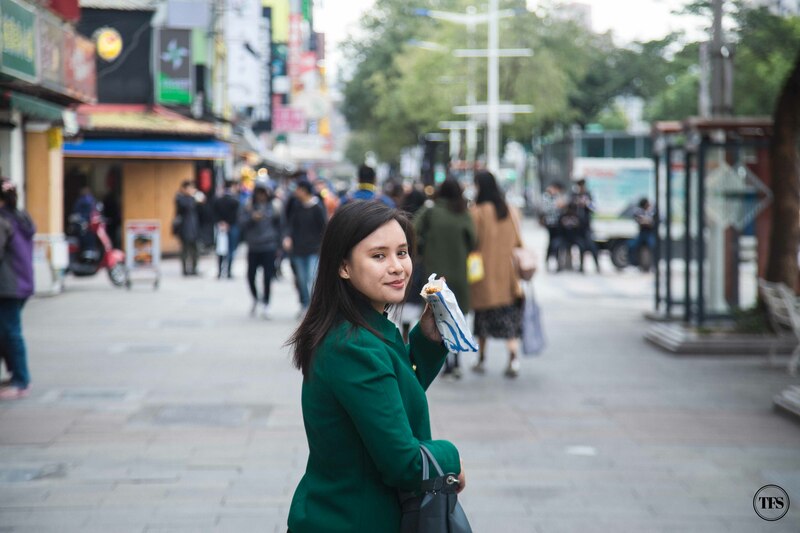 Also known as the “Harajuku” of Taipei, I’d say Ximending is the liveliest area where most of the young ones love to hang out. 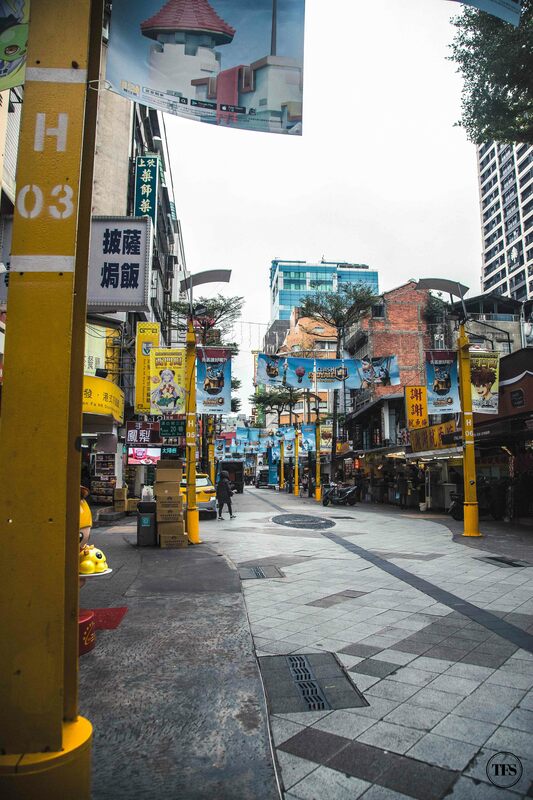 Locals and even tourists love this area because there are numerous hip restaurants, fashion boutiques, beauty outlets, pubs, and even street food around. Some shops though are hidden at the 2nd, 3rd or top floor of the building. So you won’t immediately notice them. You have to look around and look up as you roam around. 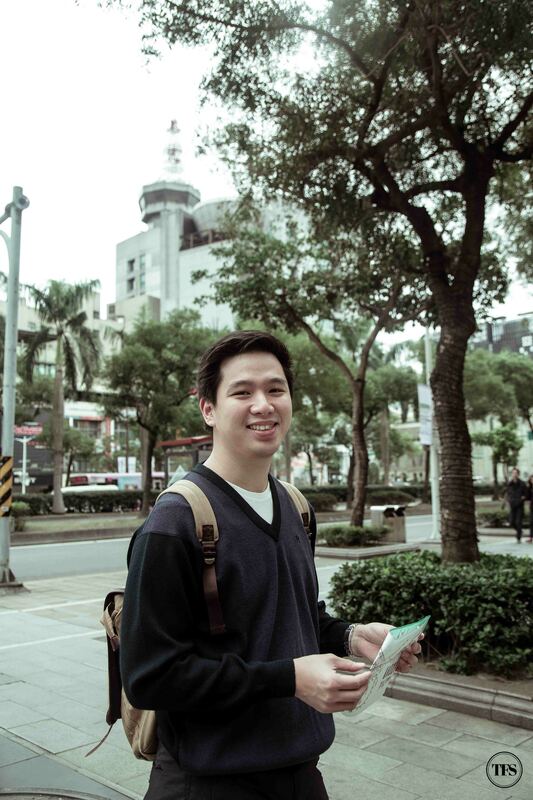 O and I started our Ximending walk at around 10 in the morning. Some shops just opened and some are still closed. It was gloomy and a bit freezing. That was last January, the coldest month of Taiwan, where its neighboring countries are in their winter season. I wasn’t prepared for the cold so I was just wearing normal clothes without inner thermal wear. Thank goodness I brought my blazer with me because I think it was around 13°-16° during the day. Things became interesting immediately as we walked along Hanzhong St. Food stalls were just beside each other with only a few people dining and buying. Obviously, it was just because we were still too early for the typical fun and busy life of Ximending. 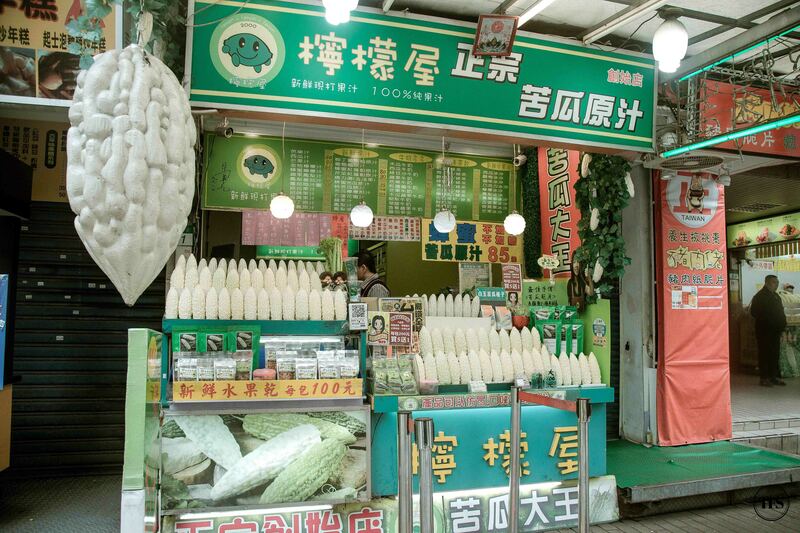 First stop, we bought a drink from this Bitter Melon Juice stand. And so, we tried that weird looking ampalaya-like fruit/vegetable called Bitter Melon. The juice was not exactly bitter at first taste but quite sweet because of the honey added to it. The bitter taste came in after a sip and tasting a few of its flavors blended. Sort of refreshing, especially if you pair it with flavorful food finds like what we did, with Oyster Omelette. 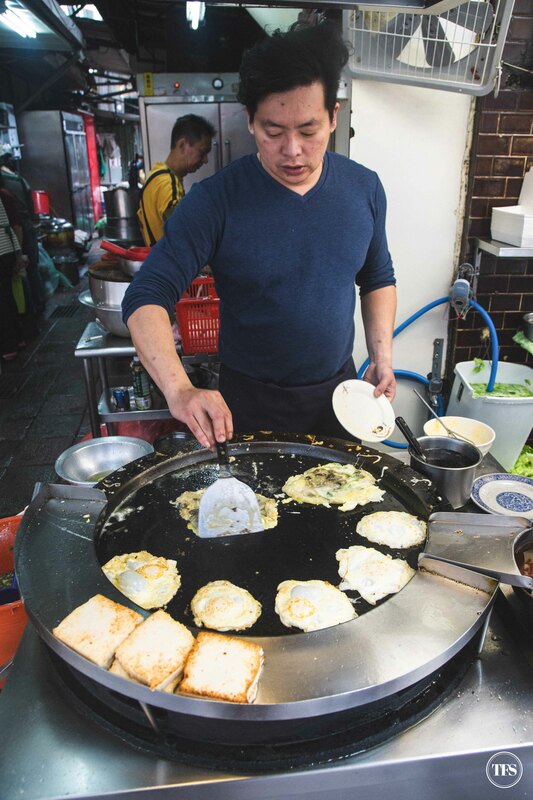 Right across where the Bitter Melon Juice stand was, we spotted and smelled the Oyster Omelettes freshly being cooked. 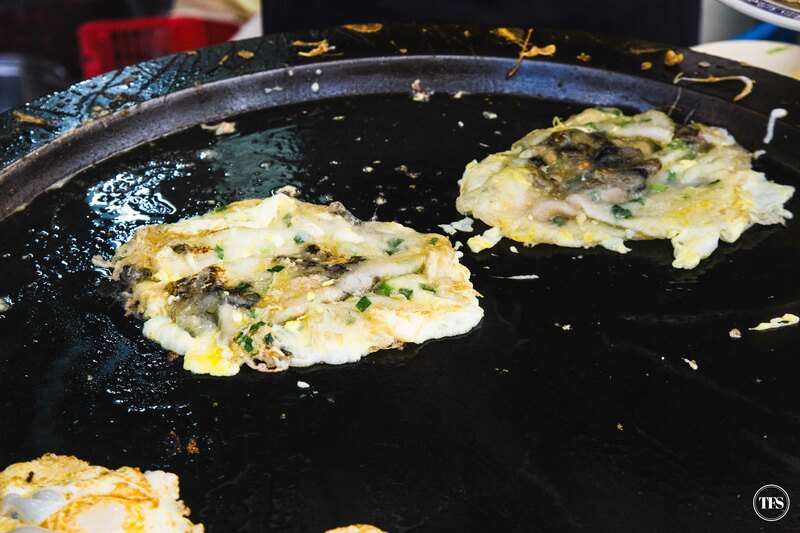 Can I just say that I love Taiwan’s Oyster Omelette compared to typical Chinese Oyster Cakes! Served fresh and hot, the Oyster Omelette was chewy and flavorful. Perfect as our first (breakfast) meal in Taiwan. Then, a few meters away, O and I saw the big sign of Hot Star Large Fried Chicken. After inhaling down to our bellies the Oyster Omelette, we lined up to get ourselves the Original Large Fried Chicken of Hot Star. 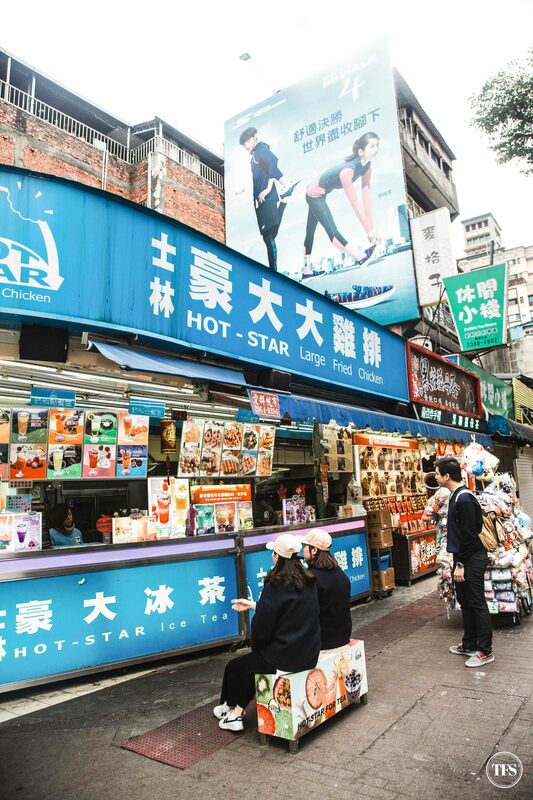 Compared to the franchise in Manila, Hot Star in Taiwan has way more options, including a long list of beverages to choose from. Of course, milk tea varieties can be found in their menu. The classic Hot Star Large Fried Chicken that is bigger than my face! If there’s a will to live, there’s a way. 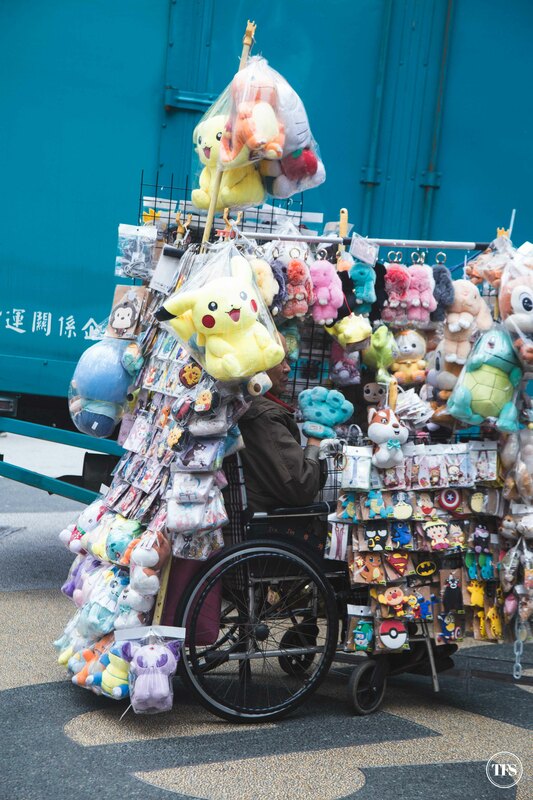 This man converted his wheelchair into a toy store on wheels! 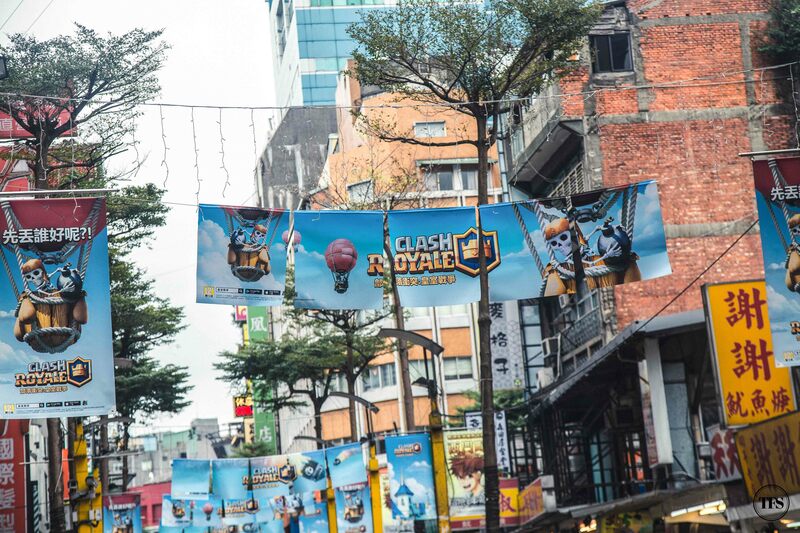 We were told that the latest and limited edition sneakers are always released first at Ximending Taiwan. 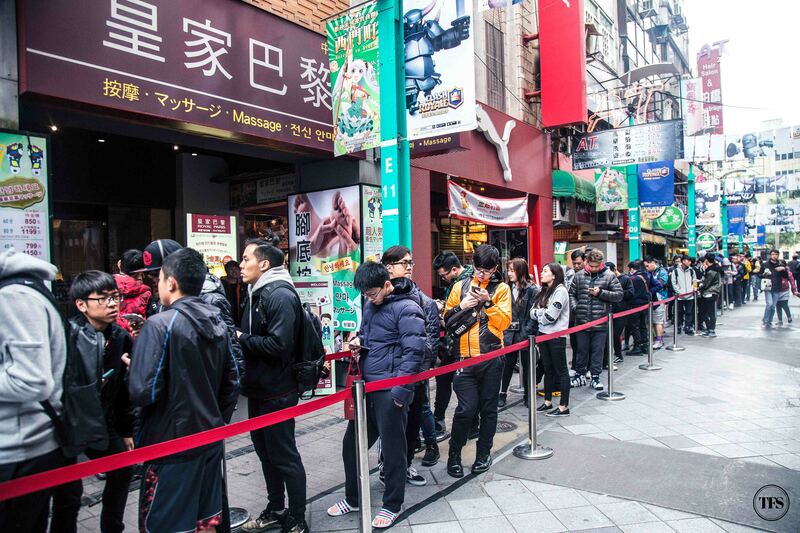 This photo shows the line going to Nike. Early in the morning, the young ones line up to get first dibs on those Nike sneakers. Right across the line to Nike, we found the small stall of the famous Ay-Chung Flour-Rice Noodle. It’s amusing to see another long queue, not for sneakers but for this street food style noodle stall. No seats nor tables, just a counter to take your order and to receive your cup of noodles. My order was served quickly because I don’t think they serve anything else other than their signature Beef Noodles. You have the option to slurp it as it is served or add condiments like vinegar, pureed garlic and chili sauce. I tried to taste it before adding condiments. Woah! That one slurp was already packed with flavors. But I still added a punch of pureed garlic, a little bit of vinegar and chili sauce. It’s one unique Beef Noodles I must say. 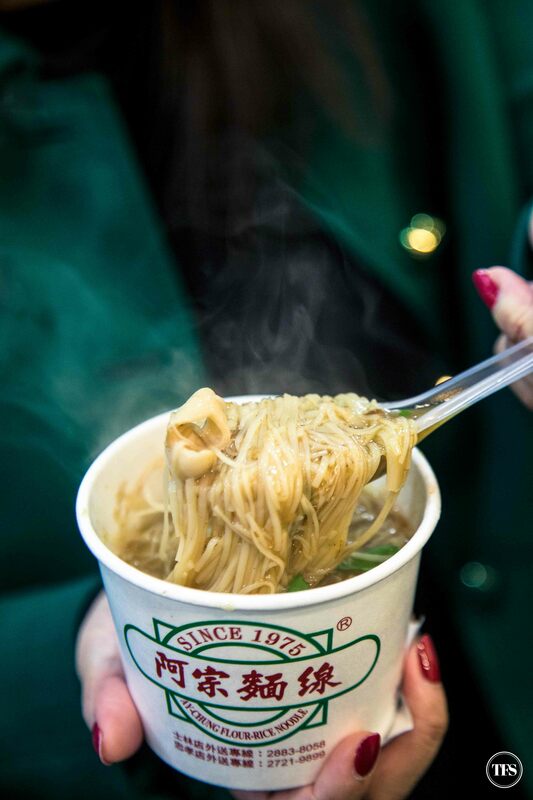 The noodles are slimy and slippery blended with a mixture of slightly sour soup, a taste of smoked fish, and all other random unique flavors that are meeting altogether in one bite. I found out the bowl of Beef Noodles has a mixture of salty cured pig intestines. Weird to the ears but works perfect to the taste buds. 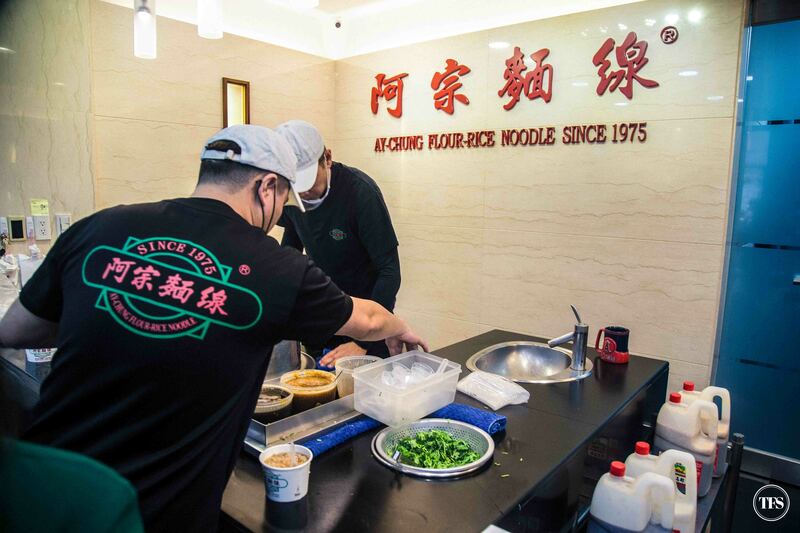 If there’s one dish you shouldn’t miss at Ximending, it’s Ay-Chung Flour-Rice Noodle’s delicacy. 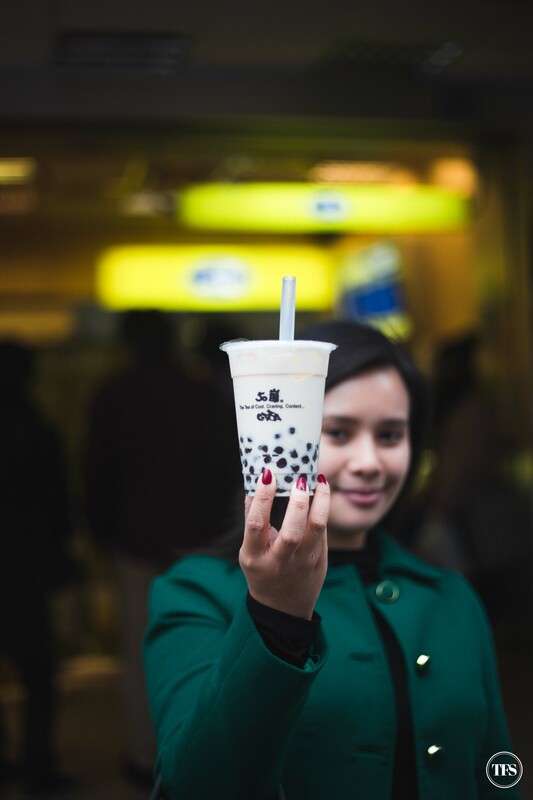 I suddenly craved for milk tea in the land of milk tea. 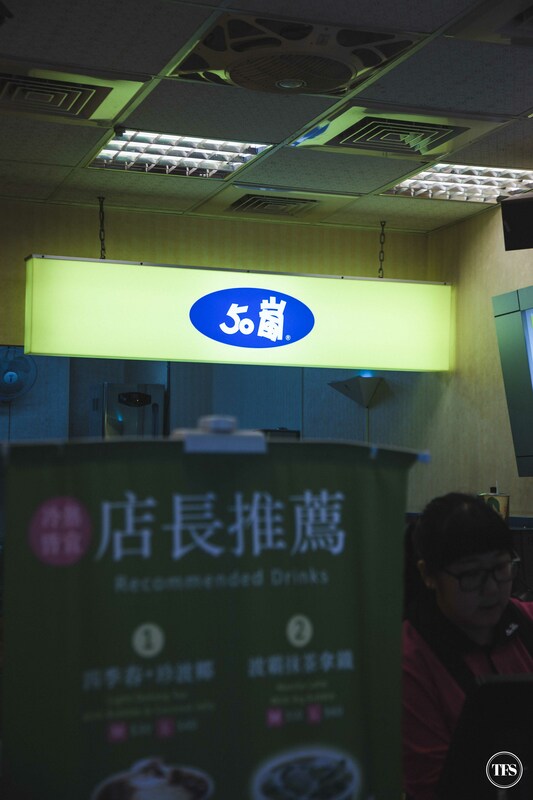 So when we passed by 50 or Fiftea, I immediately ordered myself the regular Taiwan Bubble Milk Tea. 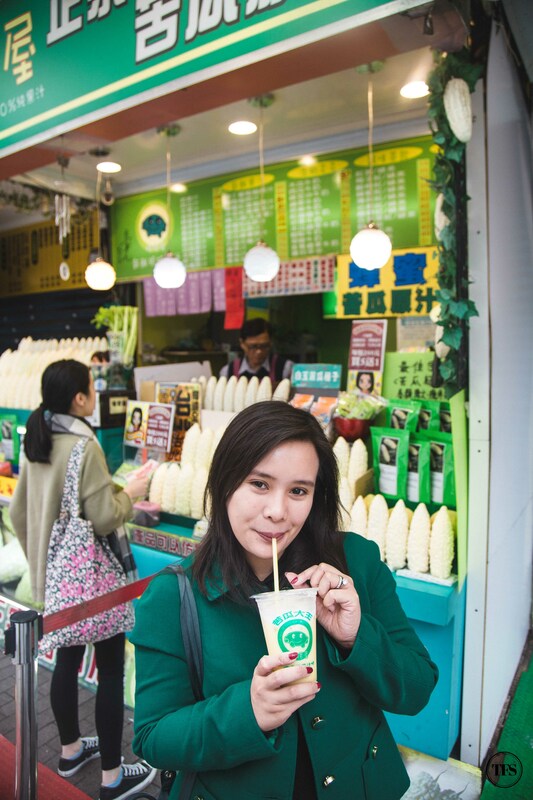 You are excused to indulge in milk teas while in Taiwan just because it’s a lot cheaper than anywhere else in the world. That’s what I told myself while I was there. Haha! 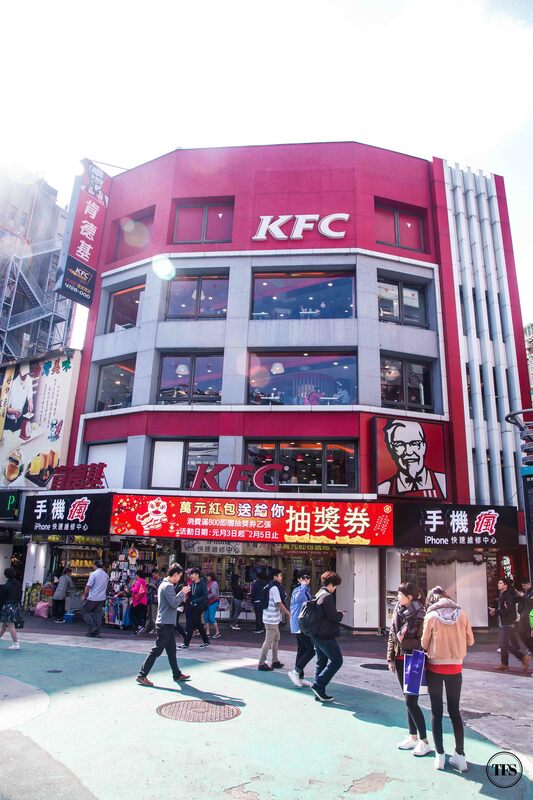 Only in Taiwan, this KFC branch in Ximending is a stand out! 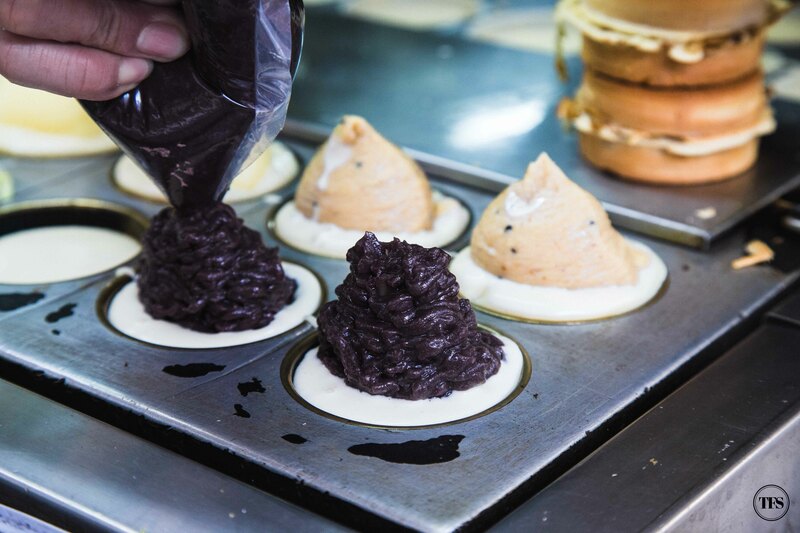 You’d probably need at least half a day to explore Ximending’s pop culture and interesting Taiwan street food finds. Also, other than their street food, you’ll never run out of options on where to dine and shop. 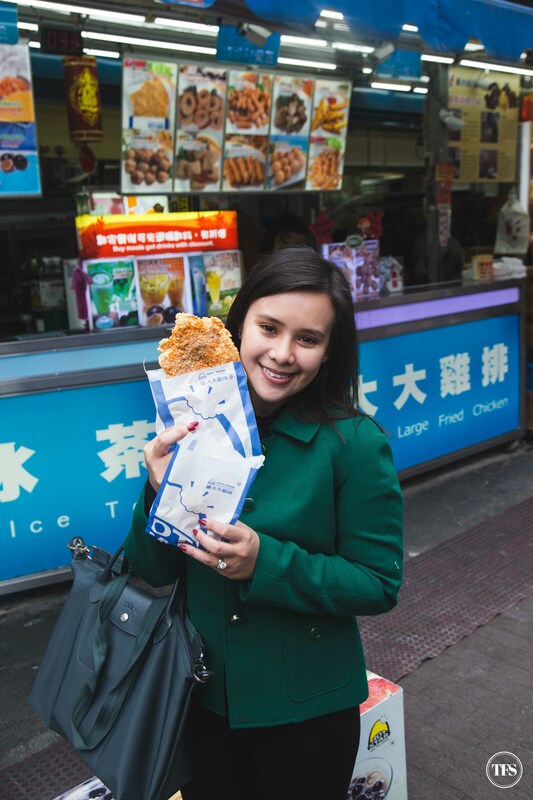 What do you think of my Ximending food finds in Taiwan?